No marketing budget, so what’s holding you back? Low or no cost marketing methods for small businesses that are proven to delivery amazing results and are backed by real-life case studies and examples of what has been achieved by applying just some of these methods into a business. To get customers, you must market your business. With the need for businesses to maximise the returns from marketing activity and budgets in today increasingly competitive business environment, you need to find effective, low and no-cost marketing methods that provide a real and sustainable return on investment (ROI), that work for your business and drive success. Presented by Dale Howarth, 'No marketing budget, so what’s holding you back' provides a high-value opportunity to gain insights into easy to implement, low and no cost marketing methods that can deliver big results for a business. The event is free to attend and also provides an opportunity for delegates to come together in the Oyster Room at the Lakeside Park Hotel & Spa for an hour of networking with like-minded people and to meet the event sponsors and supporters, before moving into The Kingfisher Suite for the seminar presentation from Dale. The reality is that almost every business is working with a specific and often very limited marketing budget. But the truth remains: You still need to market your product or service. The question therefore centres on how you can maximise your reach and impact with the minimum of investment. Marketing on a small budget to drive business development forward is entirely possible if you know how; you just need to be considered and a little more strategic about what you invest your resources in. During his presentation Dale will deliver 8 low or no cost marketing methods for small businesses. Methods that are proven to delivery amazing results and are backed up by real-life case studies and examples of what has been achieved by applying just some of these methods into a business. As an Accredited CPD Speaker this event also offers the additional opportunity for those undertaking CPD to receive valuable CPD points to reflect their commitment to their personal and professional development plans. This high value business seminar and networking event is aimed at anyone who has a keen interest in improving their company’s approach to marketing and bottom line. It is also invaluable to those looking for new marketing and business development ideas, or simply wanting to understand if they are getting the best return from their current investment in sales and marketing activity. To reserve your place at this important business event simply click on 'Event Registration' below or email: events@dalehowarth.com Alternatively, you can call Dale's office directly on 01983 861003. Any information collected is to ensure we register your place as a delegate and to keep in touch with you regarding the event, including important updates. You can opt out of these updates at any time by using the 'unsubscribe' option on the emails. 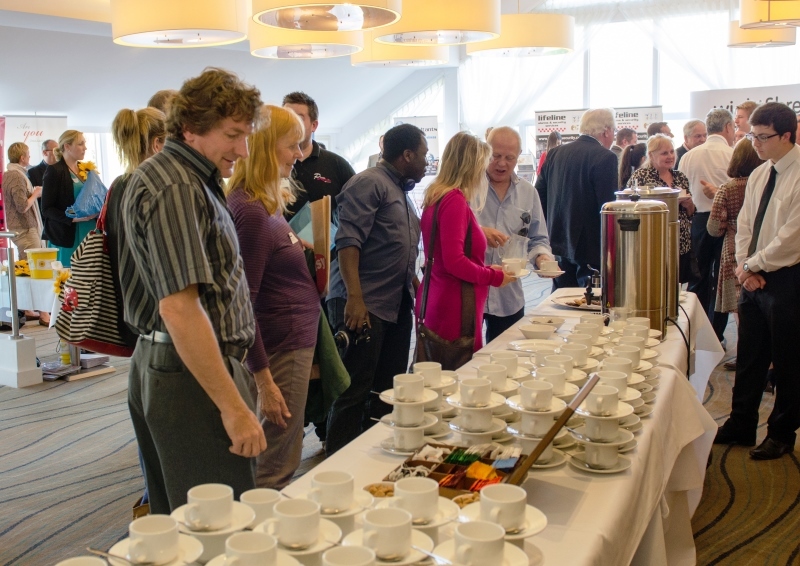 We would like to provide your details to our sponsors, simply to enable them to introduce themselves to you directly. Please let us know if you are happy for us to do this. Thank you, for your interest in attending my ‘No Marketing budget, so what’s holding you back?’ event taking place on Thursday, March 14th at The Lakeside Park Hotel & Spa, Wootton. Interest in the event has been very high and within a week of announcing the event all Delegate Places have been booked. However I would love to meet you at the event and therefore I will keep your details on a reserve list and keep you informed of any availability. As I go out to Confirmed Delegates over the next few week, I know that some may no longer be able to attend and therefore I will be able to come back to you and confirm your place at what promises to be a great event. Kind regards and thanks again for your interest in my event. A capacity audience of 140 delegates from 98 businesses joined me in 2017 for 'Practical Lessons for Better Business' at The Lakeside Park Hotel & Spa. We are proud to have the Isle of Wight County Press and Local IQ as our media partner. My thanks to these great organisations and businesses for their kind support.